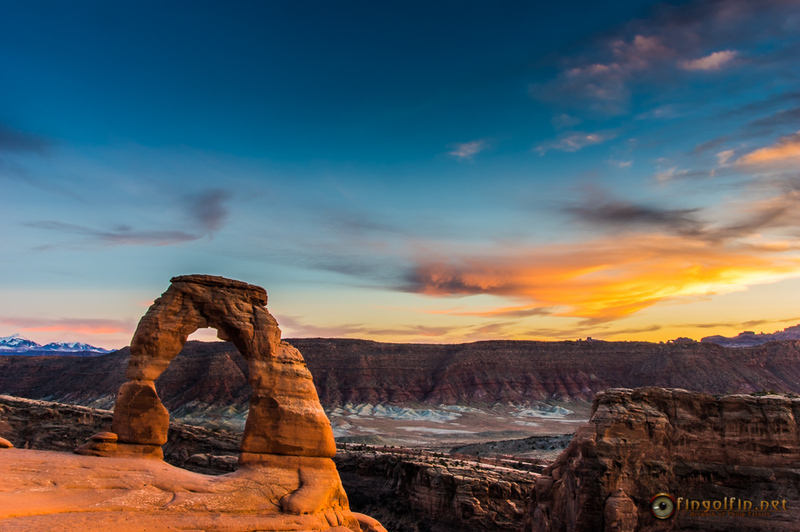 Taken at sunset a couple of nights ago at Delicate Arch, Arches NP. Caption Sunset at Delicate Arch, Arches National Park. 9 March, 2014. That is a stunning shot the color and composition are all first rate. Really nice comp and color rendition. wonderful shot, you had to hike a bit in the cold for this one, thanks for sharing the beauty. It actually wasn't too cold on Sunday evening when I was up there. I think it was still in the low 50s when I got back to the car. Very nice! Such vivid colors. I really have to go there soon. What a cornucopia of colors well done. What a lovely image. Perfect. I know that hike and you had to work for the shot. Excellent job. Terrific composition combined with great colors - can't beat that! Question for you...how long did it take you to hike back to the car park ?